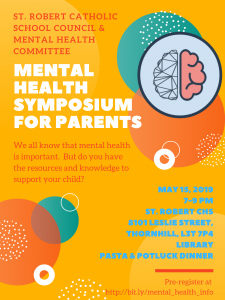 The topic will be Supporting Our Children’s Mental Health, resources, ideas, and ways to help our youth cope with the stressors in their everyday lives. A speaker from Jack.org will be addressing the group and sharing present day coping strategies and a healthy living mind set to help young adults in their day to day routines at home and at school. We are planning a potluck as part of the evening, all are welcome to join in, we invite you to provide further in the form above.